October | 2014 | and a beauty to you! It happens every year on a weekend when Ole Miss is not playing a home football game in Oxford. Roughly 400 people purchase tickets to attend the event, which includes breakfast, lunch, and dinner and presenters for three full days. This year the tickets sold out in less than 30 minutes, leading one of my friends to say – when I told him I had a ticket – “getting a ticket to SFA is harder than getting one to the Masters. My friend Peter Roy set his clock and was poised at his computer ready to buy tickets. A beauty Peter! Thanks for getting me a ticket. Annie arranged all of the travel. Shelly was my traveling companion, getting me to and from. This year’s theme was particularly interesting and challenging. It was “Who is Welcome at the Table.” It included short films and excellent presenters talking about civil rights, issues of class and sexuality when it comes to being welcome at the table. I would like to tell a story: I was a terrible student and therefore didn’t have a lot of confidence about my intellect. When I got my first job as a teaching golf professional in Westchester County New York at the historic Winged Foot Golf Club, one of my first tasks after I reported for duty in April was to speak at a members’ lunch and introduce myself. With my Southern accent, which had been an issue for me in the past – not only could the members not understand me, but there was a lot of snickering and laughter. It hurt me deeply. I did not feel welcome at the table. In the next 25 or 30 years, the wound was re-opened many times when I learned that the media used a Southern accent to depict stupidity. One of the reasons that I love the SFA Symposium so much is it makes me proud of my Southern accent. Clearly there are smart and very competent people, most of which are speaking like I do. 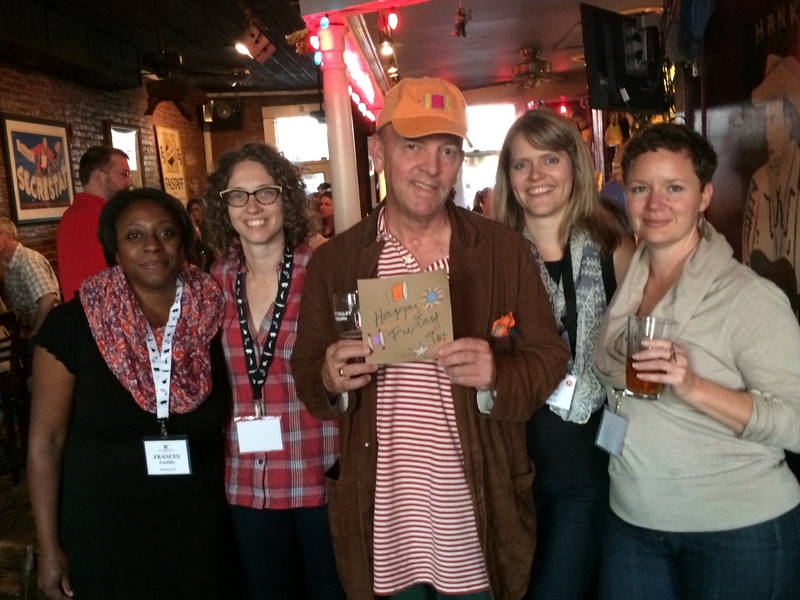 In closing, I was proud of the Triangle SFA peeps of North Carolina, from Bill Smith of Crooks Corner, Ashely Christenson of Poole’s Dinner, Marcy Ferris, Randall Keenan, and Malinda Lowery of UNC, Kate Medley, and many more for their contributions to the weekend symposium and to the organization. Its been awhile since I have done a golf post – but I have 2 in my head that I am itching to get down on paper. The first is something that happened last weekend on the course. This one is something that happened yesterday. No one ever claimed or said that golf was fair. In fact, sometimes a terrible shot can end up being brilliant, while at other times a brilliant shot can end up in the hazard and spoil your day. There is no referee and in fact, you keep your own score. You’re on your honor to play by the rules. I think this radical departure from the ways most games are played – in the days of instant replay and in the attempt to make everything fair and just. Golf is an outlier. It’s different – this difference is what fascinates us and holds us in its spell. I had a really good day at the golf course yesterday in terms in the shots that I played. My misses weren’t as bad. I played a lot of good holes. Ann and others close to me quizzed me about what was different. Nothing really… I had a good day. A gust of wind would come up or other factors out of my control somehow made my shots better. I achieved my nine hole goal. Rather than focus on my overall score, my goal is to to make four pars on each nine. I achieved this goal on both nine’s on Sunday. I even made a birdie on both nines. In fact when I went over the scorecard with my playing partner, we determined that I made 5 birdies in the total 18 holes. My total score was the best I have shot since the stroke. The game teaches… that just like you can’t get too down and low from a bad round, you can’t get too high and euphoric when you have a good one. Do I think that I am a better golfer now? Do I think that I have figured something out to where I can repeat this good performance the next time? The answer is no, not at all. I had a good day. That’s all. I am thankful that I had a good day. The secret to the game – if there is a secret- is to realize that the only shot that matters the next one. You can’t hold on to the last shot nor duplicate it in the future. You certainly can’t fix it. If it was a bad one, it is often said that good golfers often have short memories. You forget it and focus on the next one. Our town lost a fine man yesterday. Our community lost one of our most colorful characters. Scotty McLean passed away peacefully in his home surrounded by his family. I spent all morning thinking of my many times with Scotty and thinking of a way to honor his memory. As I was reminiscing about Scotty this morning, I thought I would tell a story. When I was in my 30’s, I had a good friend in San Francisco that was 25 years older than I. He treated me like a son, finding every opportunity to teach me his sage wisdom. He had lived the 25 years that I was preparing to live. I remember with vivid detail – a drive that we made from San Francisco down to Carmel. Here’s what he said, “ Lex, be sure to populate your life with plenty of characters- you know, the kind they say ‘he’s a mess, or that they broke the mold when they made him, or he’s cut from a different cloth.’ These characters will make your life rich, interesting, and much more fun. It’s tempting to play it safe with the buttoned up guys who tend to play it safe, dotting all of the i’s and crossing all of the t’s. You’ll never get a call from those guys in the middle of the night.” My friend also advised that I don’t hire too many of these colorful characters – a few for sure. – the old persimmon tree at the McLean building site – Scotty had a special tool to separate the native persimmons’ seed from the pulp. I loved the ritual of stopping by to pick up the jars of persimmon that he would prepare to be picked up along with a copy of “Scotty’s famous persimmon pudding” recipe. I admit that it was not my absolute favorite dessert, but I loved it because you could taste the passion that Scotty put into separating the persimmons. Scotty and I shared a mutual friend that we were both very fond of, who we lost to the dreaded disease of cancer. His name was Steve Lockwood. Scotty and I would get together around the holidays with a big bourbon and talk about Steve. I thought this morning that perhaps Matt Neal and I could continue this ritual to honor Scotty. I don’t remember eating eggplant much as a kid growing up with my family. There was a little Italian restaurant up the street, Riccios, which served eggplant Parmesan. I ordered it often because it was one of the most inexpensive things on the menu, which made my father smile. Eating it made me smile. I liked it! Other memories of eggplant relate to the diet some people subscribed to in our time in Southern CA, when people cut out all vegetables from the nightshade family – which included tomatoes and eggplant. I never understood this one. Fast forward to 2005 – I was doing a consulting job for a small natural foods market in Richmond, VA after I had left Whole Foods Market. While I was there, I did an informal survey of the staff to determine where to go to dinner. The consensus choice was Mama Zu’s, which I found in a gritty little neighborhood. When I went in, I saw in the open kitchen what appeared to be stacks of eggplant. When I asked the server, she said that was their most famous dish – eggplant Parmesan. They also had a nice bottle of Chianti that I recognized. I had a good meal. My friend Alan Lazarus owns an Italian restaurant in Austin, TX. The last time I was there, I asked him to make eggplant Parmesan. He did and it was tremendous! Recently I was thinking about eggplant Parmesan on a Saturday morning. I texted my friend / neighbor, Seth Kingsbury, who is the chef-owner of the Italian restaurant Pazzo at Southern Village in Chapel Hill. He responded that he had just spotted some beautiful local eggplant at the Carrboro Farmer’s Market. He would have it on the menu that night. I immediately began plotting to find a way to get to Seth’s restaurant to eat a plate of eggplant Parmesan. I was successful with lining up some dinner companions. I spent most of the day anticipating how delicious it was going to be. Like having a vacation in your calendar, seeing it there gives you a good feeling. Knowing what you’re going to eat for dinner can give you an enjoyable daydream- anticipating how good it is going to taste hours before you’re going to eat it. The eggplant was above my expectations. 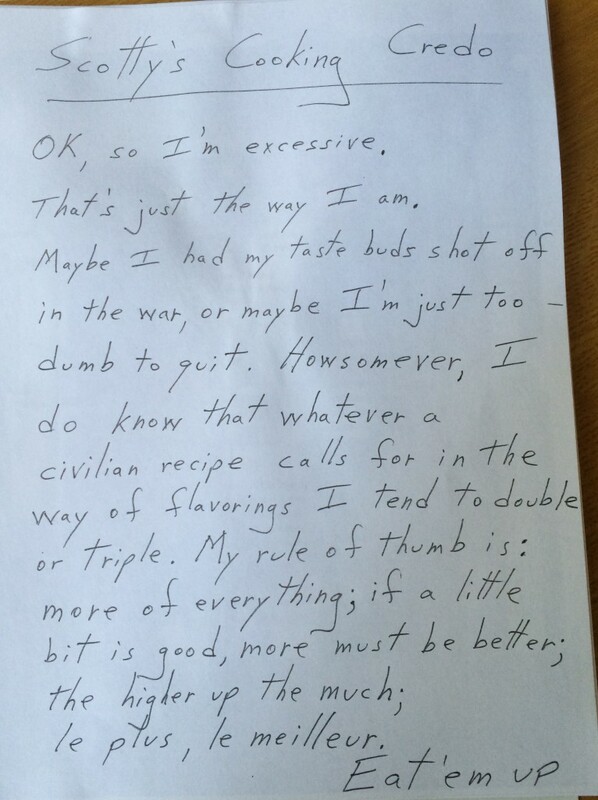 Seth had an interesting twist to his dish. Most places that I have ever ordered eggplant, it has been served on spaghetti or another type of pasta. Seth served his atop some really creamy and delicious polenta (aka grits to me). I also have a friend, Jenny Wear, who appreciates and has a love for eggplant Parmesan as much as I do. She says it is her favorite dish. She made me some for Christmas one year to have in the freezer whenever I had a craving for it. Enjoying a plate of eggplant Parmesan is one of those things that I anticipate. I like the way the eggplant soaks up the flavor of the tomato. The texture delights my senses. I went back to Pazzo recently with Ann. They had the eggplant Parmesan on the menu again! If you hurry, you may be able to score some of the last of summer’s eggplant at Pazzo. Call before you go! Back in the early 80’s, I ended up in a foursome of golfers that included Phil Nelson, the former head of music at Yale. I told him that I wanted to learn about classical music, but didn’t know where to begin. He said, “start with Mozart.” So if you’re wondering where to begin with Spanish wines, I suggest starting with Rioja. I will be pouring a beauty of a Rioja this coming Friday, October 10th from 4:00 to 6:00pm at Parker and Otis in Durham. You’re invited to come have a taste with me. With the return of reasonable weather, I have decided to restart my Friday wine gatherings at Parker and Otis. Please come say hello and taste this Rioja that I have selected. 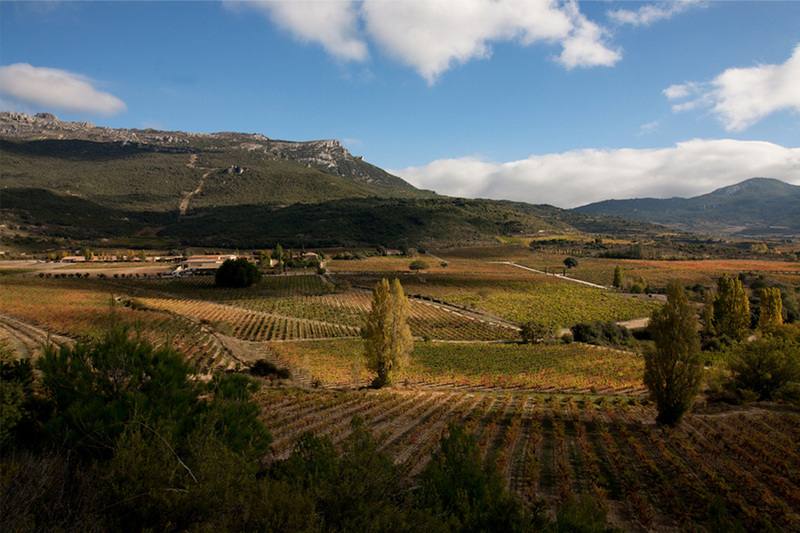 When I recently tasted the Remelluri Rioja Reserva that I will be pouring from Andre` Tamers of De Maison Selections, I was immediately smitten! I thought that this would be a beauty to restart the Parker and Otis tastings. If people taste this wine, I know that they will come back because it is that good. The wine tasted like a well-aged red that had been cellared in perfect conditions. I know that most folks don’t have a cellar to keep their wines in these conditions. I thought it would be fun to offer people a taste of a red wine that is fully mature and ready to drink. I am sure that this wine will last longer, but I am not sure that it could be any better than it is right now. I almost always offer people wines under $20. This wine is the exception, at $39.99 a bottle. It is a a very good value! Spanish wine is very “hot” these days! Many of the reds supply the accessibility of fruit that folks are looking for at a price that most origins can’t touch. 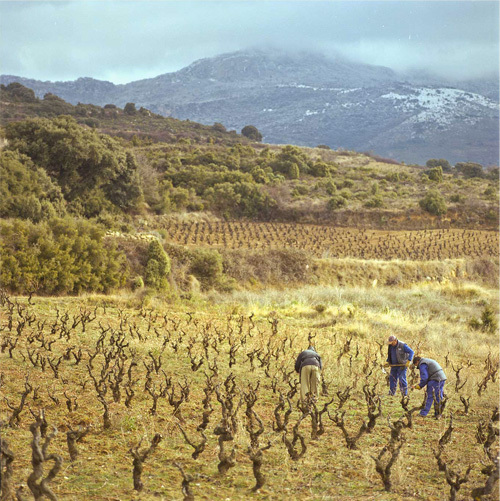 I fear that the place that created an interest in Spanish wine for serious wine drinkers – Rioja is often left out of the conversation. That doesn’t seem fair or wise for the wine drinkers, for Rioja to be placed in a secondary position. Spain has had a tradition of aging their wine in oak barrels, often for a long time. Rioja Reserva, like the one I will be pouring on Friday must spend a minimum of three years at the winery aging and must spend one year in oak and and two years in bottle before release. This wine, like all of the ones I recommend and support, is produced with organic farming practices at family-run vineyards. Please come for a taste of this beauty! Recently a friend of Ann’s dropped off a bag of fresh picked perfect okra. Many people don’t like okra, but it ranks as one of my favorite vegetables. In fact, you could say that I can’t get enough. Once on my two week stay in St. Andrews Scotland, I went to a Bangladeshi restaurant called Balaka. I went there every night for for a fortnight and had okra for dinner. On the last night, I asked the server how they made it so delicious. She led me through the kitchen and into the garden out the back door. They picked the baby okra, washed them, cut the caps off, split them in half, and cooked them in a hot skillet with ghee and Indian spices. I would walk through the door and the staff would say, it’s the “Bhindi Bhazi” man (which means it’s that man who can’t get enough okra)! 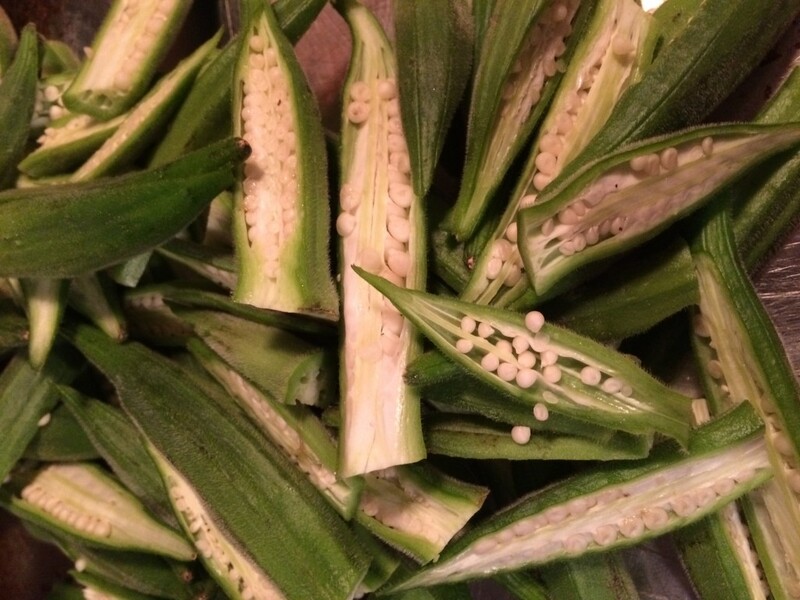 What Ann did with this fresh and perfect okra the other night- was cut the caps off and split them in half – cutting the larger ones in smaller pieces. She slow cooked them with lots of cherry tomatoes from the farmers market, sweet onions, and then chicken thighs were placed on top to steam until they were perfectly done. This okra and tomato dish, which is a Southern favorite, was so delicious that I couldn’t believe in my good fortune in having this supper, which I had very little to do with – in planning or cooking. I owe this all to Ann – she pulled this delicious dish all together! 1) It is Southern, and I am a Southerner through and through so I am proud of it! 2) It has been an underdog in the vegetable realm. 3) It is seasonally delicious – meaning I only eat it in the summer when it is in season.